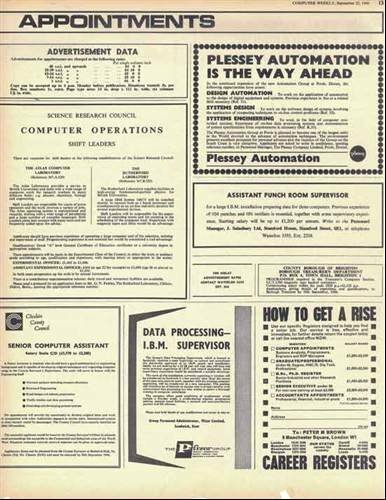 Until the internet boom, Computer Weekly was THE jobs paper for IT professionals. In the first edition, J Sainsbury advertised it was looking for an "Assistant Punch Room Supervisor", with salaries up to £1,200 per annum. After 2001, recruitment advertising moved mainly online.